For more than five years we haven’t stocked our iconic “Star & Stripes” design. Together with a fresh edition of the most popular and everlasting Soundbwoy design “Good System” you can get it now in different colours and on our organic and fairtraded garments for the first time ever! PLUS you get the chance to win a classic Reggae DVD set! 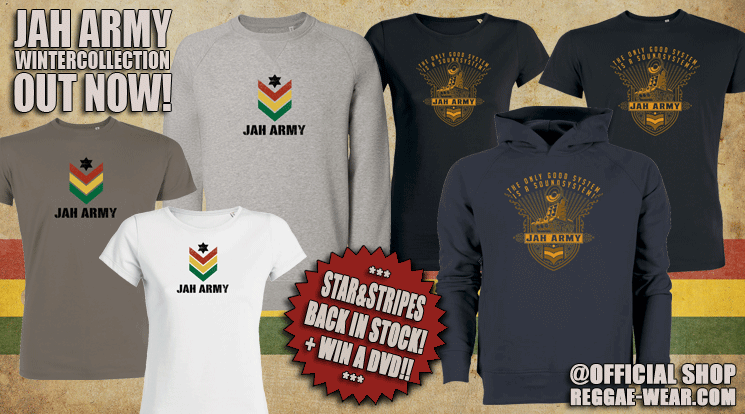 Just switch quickly to our official shop Reggae Wear and check out the new wintercollection and much more Jah Army stuff. 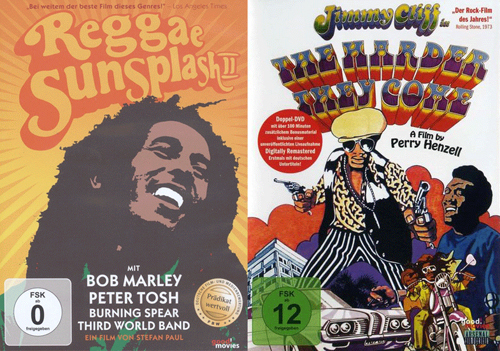 With every* Jah Army order you get the chance to win one of our DVD sets, consisting of one copy of “The harder they come” and the brandnew reissued “Reggae Sunsplash II” (with compliments of Arsenal Films). Every* Jah Army order on reggae-wear.com coming in until sunday, november 18th, 2017, 17h CET will take part in the raffle. Winners will be drawn out of the hat and sent an email. We hope you like our new stuff and wish you good luck with winning the DVDs. *only orders from within EU, organiser’s decision is final.